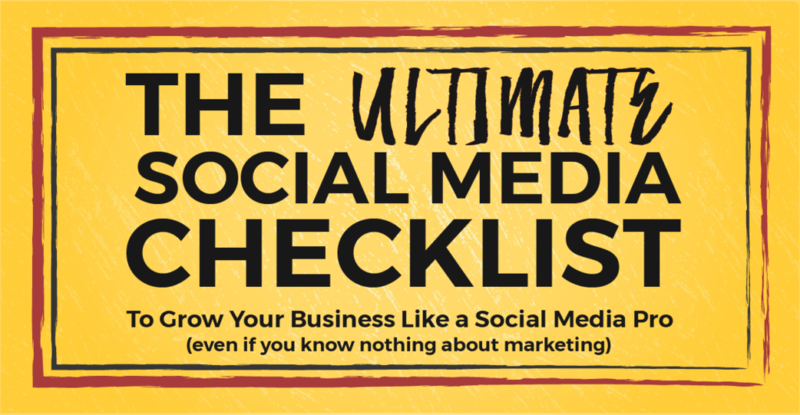 Sign up and download my ULTIMATE Social Media Checklist for 2019 to grow your business like a pro (even if you know nothing about marketing). It’s FREE! 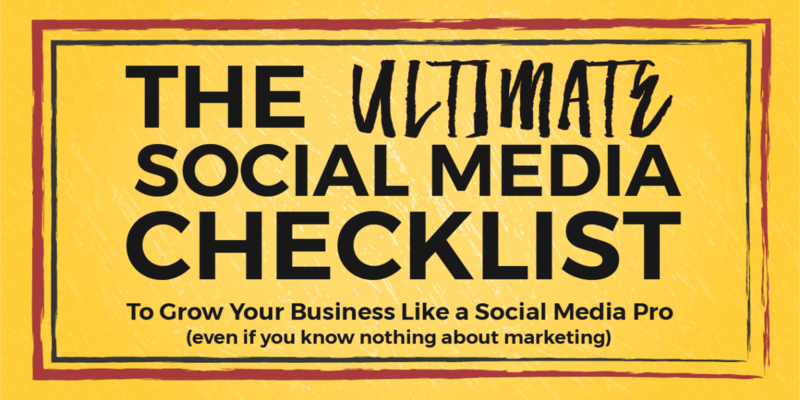 This actionable social media marketing checklist will help you rise above the noise, get you noticed and help you start turning conversations and connections into customers. I have more than a decade of social media marketing experience (and even more years of public relations experience) and have helped many businesses and entrepreneurs over the years. What happens? They do their social media haphazardly with little to no real results. If this sounds like you, then you need this checklist. My social media checklist provides you with daily, monthly, quarterly and yearly action steps that will drive your business forward by leveraging social media marketing the right way so you attract more customers and grow your bottom line. Isn’t it time that you start seeing ROI from your social media? I can’t wait to help you start making social media work for you and start getting the ROI that your business needs. If this is the first time visiting and you’re wondering who the heck I am; well, I’m Miiko Mentz and am a co-founder at BentoBox Media. At BentoBox Media, we help brands, small businesses and entrepreneurs, just like you, take their social media and content marketing to new heights through thoughtful strategy and storytelling.